So Choir in Wakefield | super fun, social singing in a bar! So Choir in Wakefield – THE cool, fun, singing group for everyone! Do you live or work in the Wakefield area and love to sing? Well you’ve come to the right place. So Choir in Wakefield is THE cool, fun, modern, informal singing group. No experience needed, no weird auditions, no stuffy rules and no scary solos. Even if you feel you can’t sing or don’t like the sound of your own voice (who does?!) you’re always welcome. So Choir!, short for social choir, is all about awesome people who love to meetup each week to socialise and sing pop & rock hits! You will be amazed at the sound we make and the fab 3-part harmonies will send shivers down your spine! The Hop in Wakefield occupies a prime spot at the end of Bank Street, just off Westgate, near the Theatre Royal. Its cobbled street location, Georgian architecture and private courtyard make for a fantastic looking venue. 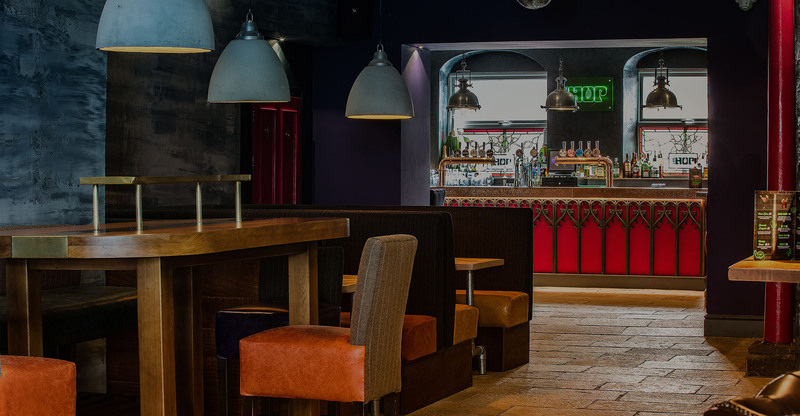 The Hop is THE place to go in Wakeﬁeld for live music and a relaxed, friendly atmosphere. We meet on Tuesday evenings – singing starts around 7.45pm and finishes around 9.45pm. There’s a great range of drinks available, from soft drinks to the latest excellent craft beers plus bar snacks! Also, because we’re The Social Choir, many of us love to arrive early for drinks and chats! Parking is plentiful too – the Unity House Car Park is directly opposite the front of the venue and free after 6.00pm. Alternative car parking is available at the Garden Street Car Park which is just round the corner and also free after 6.00pm. The Hop is just a 3 minute walk from Wakefield Westgate station (see map below) and is only 400m away from Wakefield Bus Station which is located on Union Street. Visit our Meetup.com page by clicking on the link below. Its super easy to use and free to sign up to. We post up to date event info at the beginning of each week and once you’re signed up, you’ll get an email when new events are announced.